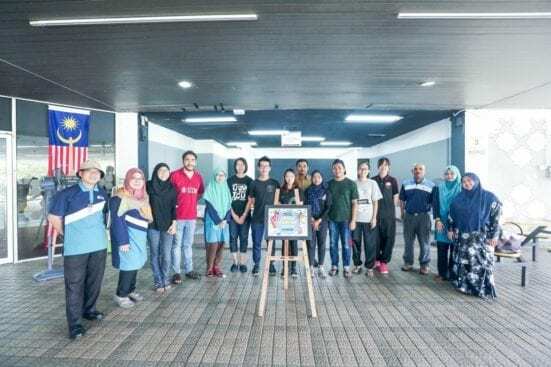 JOHOR BAHRU, 31 Oct. – Landscape Architecture Students from Faculty of Built Environment and Surveying (FABU) won first and second place in Doodle Painting Competition at Perpustakaan Sultanah Zanariah (PSZ), UTM. 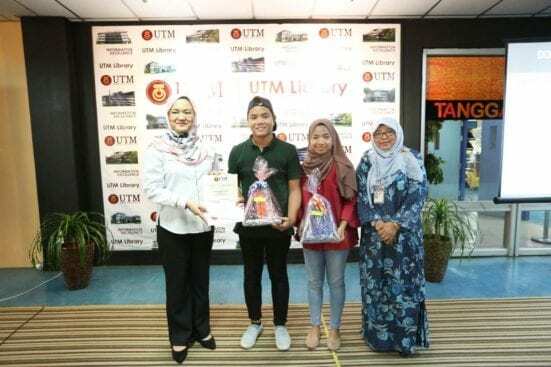 The competition was organized by Perpustakaan Sultanah Zanariah in conjunction with “WOW Carnical @ UTM” which was held from 27 to 31 October 2018. In the competition, two groups led by Shahida Bahari and Oscar Chong Yi Bin took home a certificate of participation and a cash voucher. Additionally, two groups from Geomatic Engineering Program had also won third and fourth places. 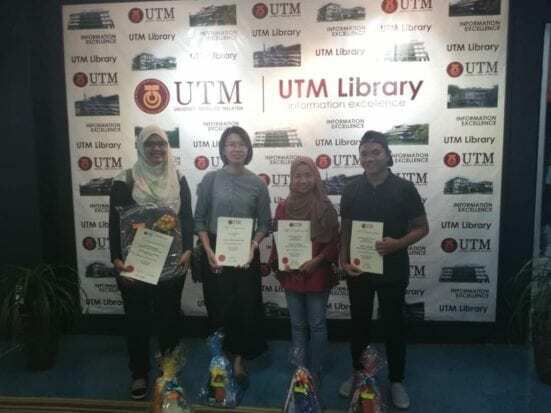 The group led by Shahida Bahari and her team member Ashraf Yahya had produced a doodle with the concept “Literacy, a bridge from misery to hope” and won first place in the competition. 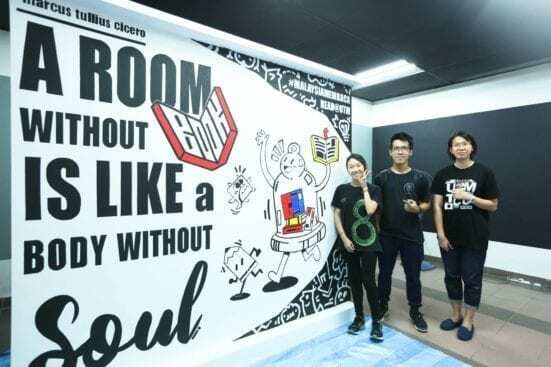 While the group led by Oscar Ching Yi Ben and his team member, Dr. Lee Yoke Lai and Chin Kah Lai had produced a doodle with the concept of “Book is the key to lively and spiritful space” that also won second place in the competition. “Literacy, a bridge from misery to hope”, a doodle by Shahida Bahari and Ashraf Yahya.